Pooja Patel, Mahendra Patel, Mayank Bhatt, "A Joint Band Jamming and Tone Suppression Technique using CSI for Wireless Networks" SSRG International Journal of Computer Science and Engineering 3.11 (2016):45-50. Pooja Patel, Mahendra Patel, Mayank Bhatt,(2016). A Joint Band Jamming and Tone Suppression Technique using CSI for Wireless Networks. 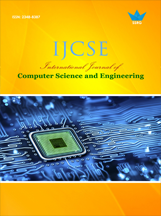 SSRG International Journal of Computer Science and Engineering 3(11), 45-50. Henrique de H.M. Barros, Marzio G.S. Rego, “A Distance based Study for D2D Communication Underlying a Cellular System”, SymposiaBrasileiro Telecommunication, September 2012. K Doppler, CH Yu, “Mode selection for D2D Communication underlying an LTE-Advanced Network”, WCNC 2010. Chia-Hao Yu and Olav Tirkkonen,Klaus Doppler and Cassio Ribeiro, “Power optimization of device-to-device communication underlying cellular communication”, IEEE International Conference on Communication, 2009. 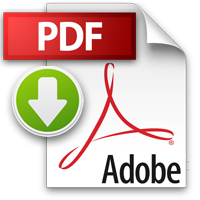 Sami Hakola, Tao Chen, Janne Lehtom aki and Timo Koskela, “Device-to-Device (D2D) Communication in Cellular Network - Performance Analysis of Optimum and Practical Communication Mode Selection”, IEEE Communication Society, 2010. Erturk, M. Mukherjee, S. Ishii, H, & Arslan, H. “Distributions of transmit power and SINR in D2D networks”, IEEE Communication, 2013. A. Asadi, Qing Wang, “A survey on device-to-device communication in cellular networks”. Communication Survey Tutorial, IEEE, 2014. Ying -Dar Lin and Yu -Ching Hsu, “A multi hop cellular: A new architecture foe wireless communication”. IEEE JNFOCOM, 2000. A. Mawira, “Estimate of mean C/I & capacity of interference limited mobile ad-hoc networks”, IEEE, 2002. Band Jamming, Outage Probability, Quality of Service (QoS), User Equipment (UE), Additive White Gaussian Noise (AWGN), Signal to Noise and Interference Ratio (SINR), Bit Error Rate (BER), Channel State Information (CSI. ).